There was a genius illustrator, named Yoshitaro Isaka, people called him "Pero". Pero illustrated cutting age young guys and women wearing fashionable clothes, then he was the leader of fashion illustration world in Japanese 60's. In 1970, he was suddenly pass away, all works have been sleeping with his death. After 30 years, it is awake-up time again, those works will be released to public. 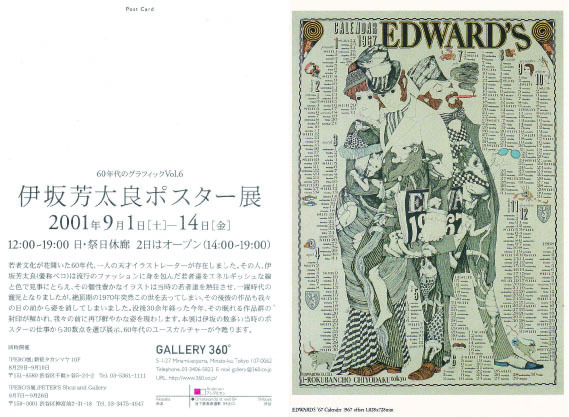 This exhibition is showed over 30 posters chosen his huge graphic works.